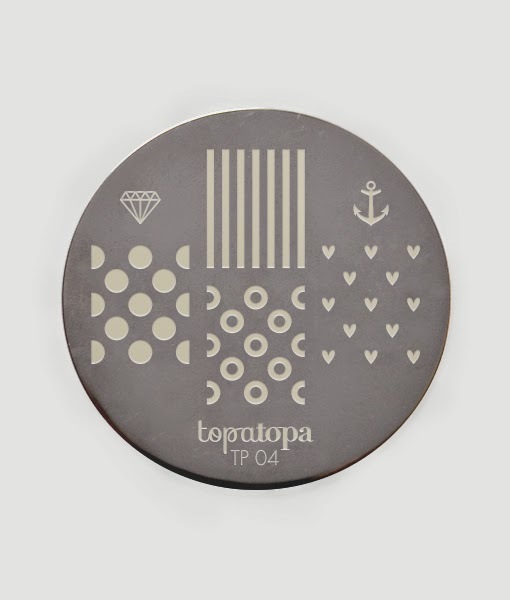 Lacquer Lockdown: Hot Off The Stamping Press: Topatopa Nail Art Stamping Plates! 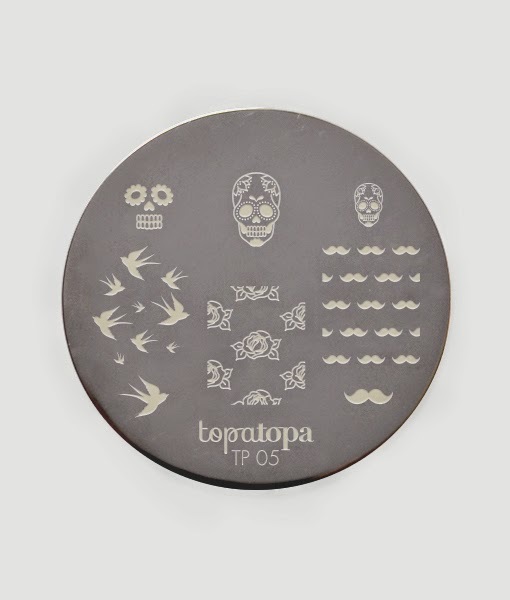 Hot Off The Stamping Press: Topatopa Nail Art Stamping Plates! Aren't you happy that you follow my blog? Because every time I discover a brand of plates and nail art products that make me squeal I come right here to share it with you! Lol. 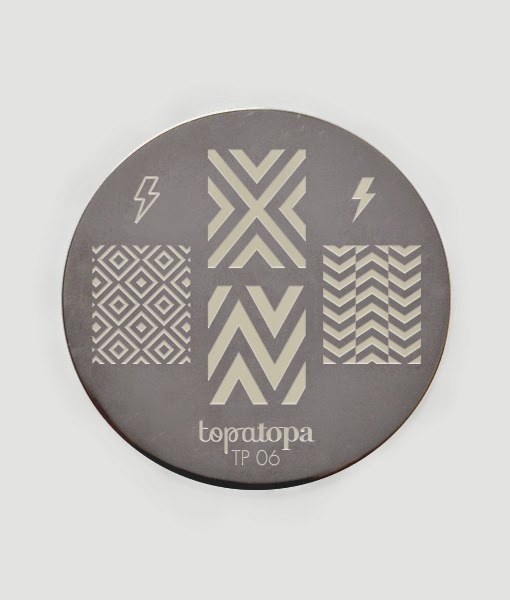 Ahem now speaking of squealing I have another new brand for you today hot off the stamping press. 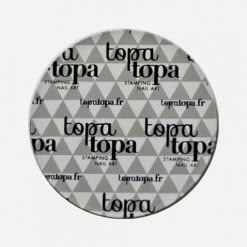 Topatopa is a France based stamping plate maker that has created plates that are too adorable for words! The company is run by Samantha who is exceedingly sweet and kind. Yup you know I already contacted her to get the deets. Can I pause for a second to say how astonished and in awe I am of all these ladies all across the world that can speak so many languages and we are all united by our love of nail art! I have "met" so many wonderful people! Now let's see these plates shall we? Tally me banana lol! 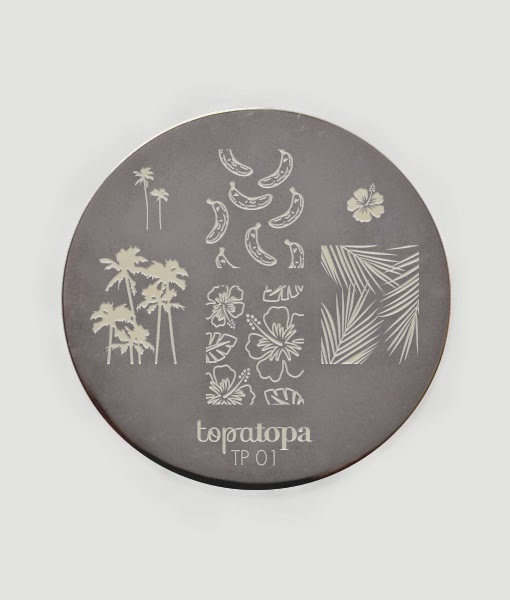 This one is perfect for the upcoming summer and all those tropical vacations. Ah ah stop stop everything! I need all the tribals all the tribal nails ever!!! I will never ever ever get tired of this trend. I don't even a consider it a trend because tribes have been around as long as mankind was a social animal. In short forever thus all the tribal patterns are necessary ;) Wait am I the only one still in love with tribal nail art? I hope not! Are you getting the feeling mustaches are in? Lol they are everywhere. Love the birds and the sugar skulls! These look awesome! Thanks for sharing them - I'm totally putting them on my wishlist. 1, 2, 3, and 6 are my favorites! so i've got to admit when this came up on my dashboard i read this as topanga stamping plates lol. 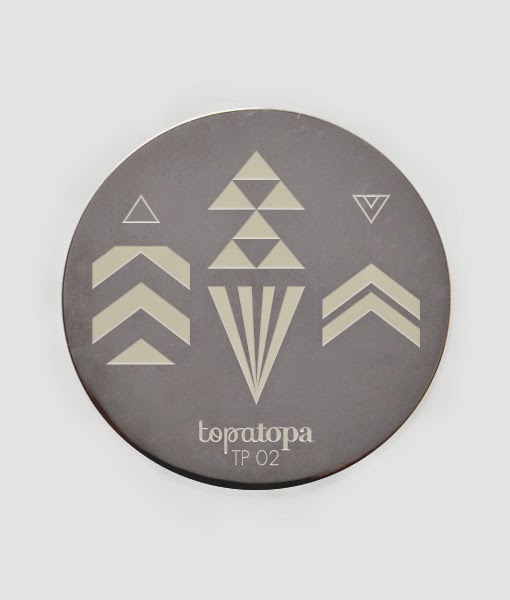 but these are really cool! Man, I just found these through instagram, only to see that you reviewed them already! I gotta commit to going through your archives!